First and foremost, we are parents… busy parents who relish a good family vacation, just like you. With limited time, money, and attention spans, we know exactly what families need. We realize that teenage boys judge the quality of hotel by its all-you-can-eat breakfast buffet and size of its pool. We know what constitutes a good family-friendly hike in our national parks or a truly interactive museum that’s worth your family’s time. We know why restaurants with paper table cloths and crayons are superior to those with three Michelin stars when your toddler is close to melting down. Yep, we get it. Our writers are all parents who have actually traveled with kids to the destinations that they write about. No exceptions. 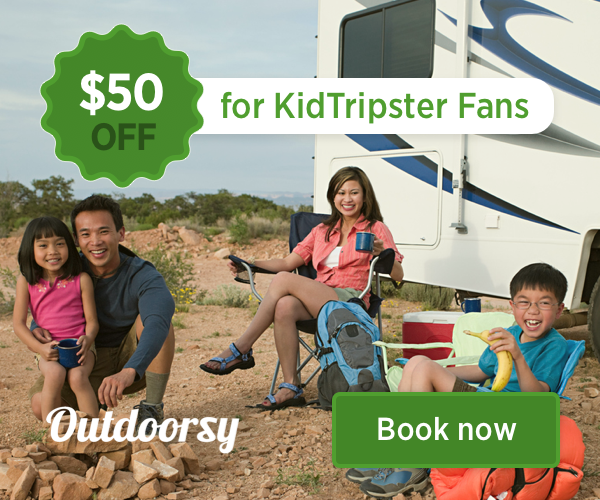 The KidTripster family also includes KidTripster Teens. You’re planning a vacation for kids, right? Who better to give you insight into what kids love - especially hard-to-please tweens and teens - than real, live teenagers! We’re the only travel website to give kids this kind of voice and give parents this valuable insight. We love our KidTripster Teens! Secondly, the vast majority of our writers (excluding our KidTripter Teens) are professionally-trained journalists. Why does that matter? Well, we’re diggers. We actually like to research! We value accuracy and authenticity above all else. We simply want to provide good, honest information that will enable your family to travel better. Finally, we’re adventurers. We look for the unique, off-the-beaten-path travel experiences that can shape you and your kids. You wanna swim with sea turtles in the Galápagos Islands? See the Northern Lights through the top of your very own glass-topped igloo in the Arctic? Backpack around the world with your kids? We’ve done all that… and more. And along the way, we’ve made mistakes! Now you can learn from our experiences on your way to enjoying your very own adventures. So, let’s travel the world together!